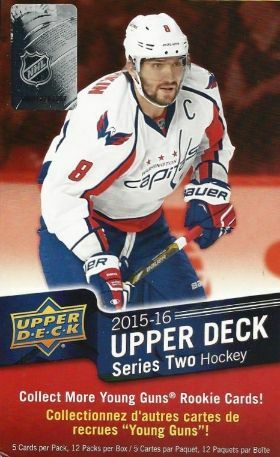 This morning I'm opening up a blaster of 15/16 Upper Deck Series Two. Earlier this week I had the chance to open up a hobby box of the current Series Two, so this seemed like a nice pairing. 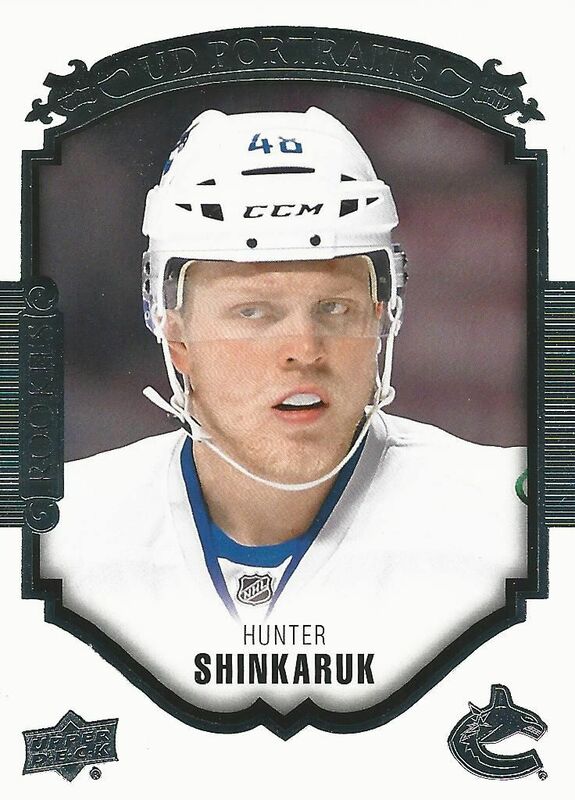 Upper Deck blasters are always a good buy as they are filled with sweet looking cards from the NHL season. Initially I thought I was opening up a blaster of Series One. I'm not sure why I thought that! But anyways, this was indeed a blaster of Series Two. Series Two should contain more inserts than its Series One counterpart. Upper Deck's inclusion of update cards has always made Series Two a little more interesting than the first. I always look forward to breaking Upper Deck blasters because they give out a good amount of content per blaster. With 12 packs to open, it's a solid break that is satisfying. I was really hoping to get more out of this blaster box. Out of the 12 packs, just 5 had either an insert, update card, or Young Gun. Of my inserts, I didn't really get any big names that I would enjoy getting. My biggest named player came as a base card. I think what was most disappointing was the lack of update cards. In my break of 16/17 Series Two earlier this week, I got quite a few updates. This blaster box only contained one. Well, they all can't be winners I guess! It was a struggle to pick the top three this week. None of the cards I got were really that exciting. I chose this Rookie Portrait insert as my third because I do like this insert set. In 15/16 these cards stand out with their bright white borders. Neither Young Gun was particularly great, so I just chose one to go in the top three. I went with Wideman. Young Guns are one of the primary reasons to get Upper Deck blasters. It's great when you hit a big one, but getting lesser Young Guns isn't too exciting. 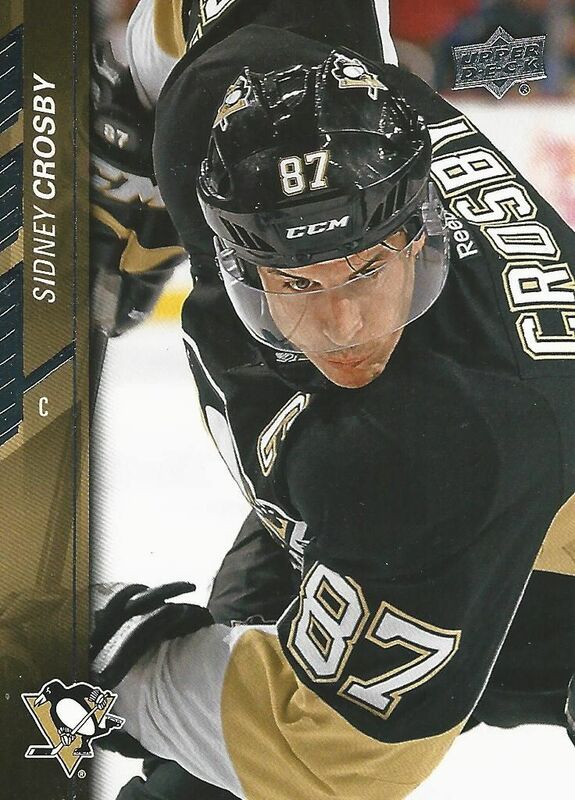 I went with Sid-the-kid because he's always a great pull... and this is a very nice photo of him. 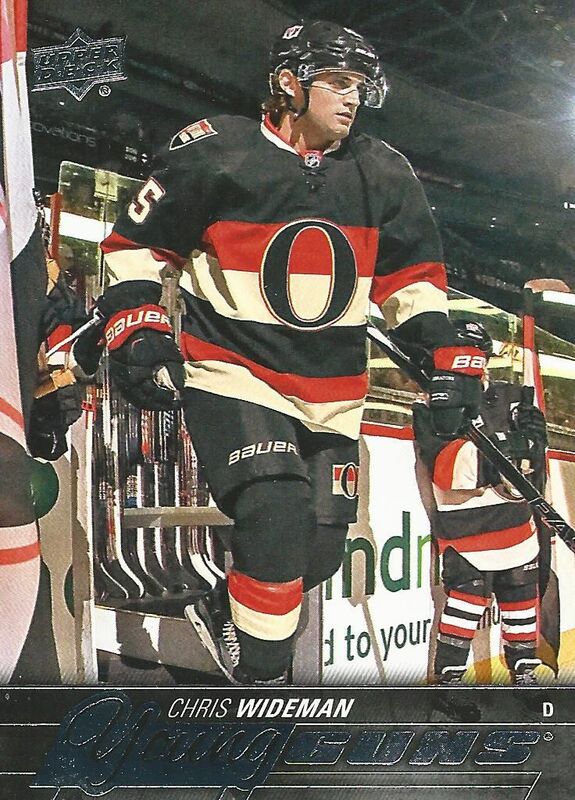 I was a little disappointed with 16/17 Series Two photos, so this was a nice reminder of the quality of photos Upper Deck should have in their main line product. Though this blaster was pretty ho-hum, I'd still recommend Upper Deck blaster boxes to anybody looking for a nice box breaking experience. You don't get a guaranteed hit or anything, but for anyone new to collecting cards, you do get a substantial amount of good looking cards to enjoy. And that might be good enough for a new collector.